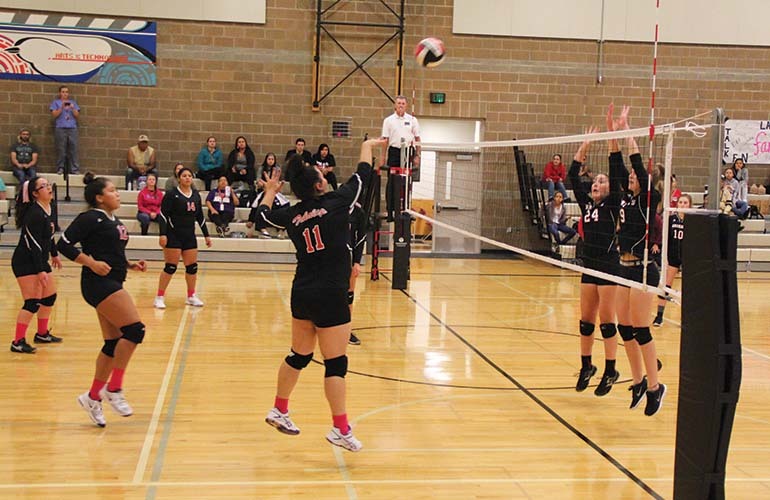 The Tulalip Heritage Hawks volleyball program’s scorching hot (5-0) start seems like a distant memory after losing four of their past five matches. Their latest loss came at home when they hosted the (4-5) Arlington Christian Knights on Wednesday, October 12. Game 1 was a lackluster effort from the Lady Hawks. They went through the motions of playing, but the effort wasn’t there and they dropped the opening game 16-25. During intermission, they tried to talk strategy and came to the conclusion they just weren’t pumped up to play. During game 2, the home team fell behind 3-9 before putting together a few rallies and got the score to 14-15. The crowd got into it and the Lady Hawks looked to be getting their groove back. The Lady Hawks played as a team with energy and grinded out a 27-25 win. Their momentum continued in the 3rd game, as they took a 9-3 lead and extended it to a 20-14 lead before the Knights called a time-out. Following the timeout the Knights took momentum back and left the home team reeling. After being up 20-14, the Lady Hawks were unable to close out the game and lost 23-25. They were unable to muster a comeback and dropped game 4, resulting in a 1 game to 3 match defeat. With the loss the Lady Hawks are now (6-4) and find themselves in 3rd place in NW 1B standings. They have work to do and it will start in practice to rebuild their team chemistry. The next two games are against the winless Skykomish and Lummi Nation teams. Hopefully the girls can right the ship, get those Ws, and figure out how to sustain their energy for a full match in order to clinch a spot in the postseason tournament. 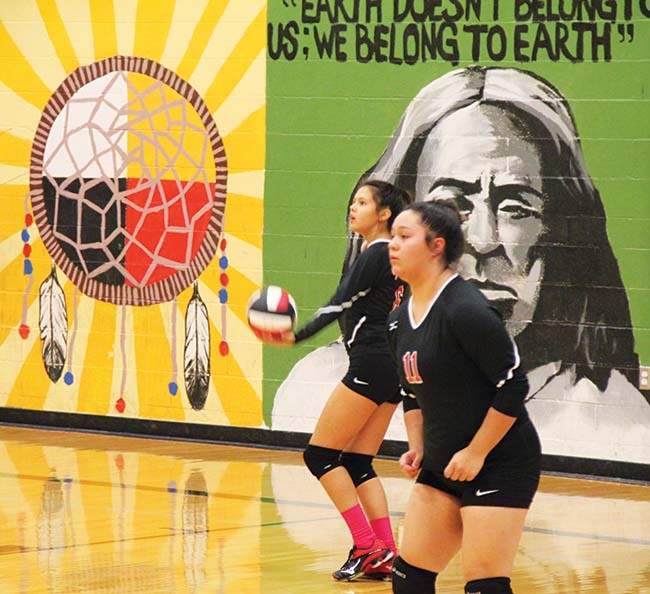 This entry was posted in Sports, Tulalip News and tagged Lady Hawks, sports, Tulalip, Volleyball by Kim Kalliber. Bookmark the permalink.